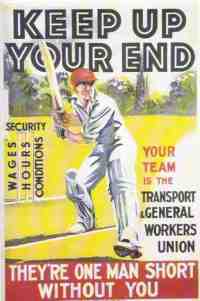 How to ‘un-smash’ unions | Townsville Blog. Queen Victoria always puts the facts in an interesting way to sheet home what those facts really mean. Labor’s Mark Butler says unions are in ‘deep crisis’ thanks to Howard ‘smashing the power of organised labour’. Although the history books say that Howard’s WorkChoices policy was killed by the trade union movement and Kevin07, in reality, the biggest trick the Liberals and big business-devils ever played was convincing the world WorkChoices was dead, buried and cremated. Just when workers felt they were safe, protected by the Fair Work Act, the Liberals and big business were bringing in individual contracts and minimum rates by stealth, and finding loopholes to sabotage collective bargaining. How did they do it? By turning workers against unions. And wow, wasn’t it easy.